One electronically tested 14KT white gold ladies cast & assembled diamond solitaire pendant with chain. 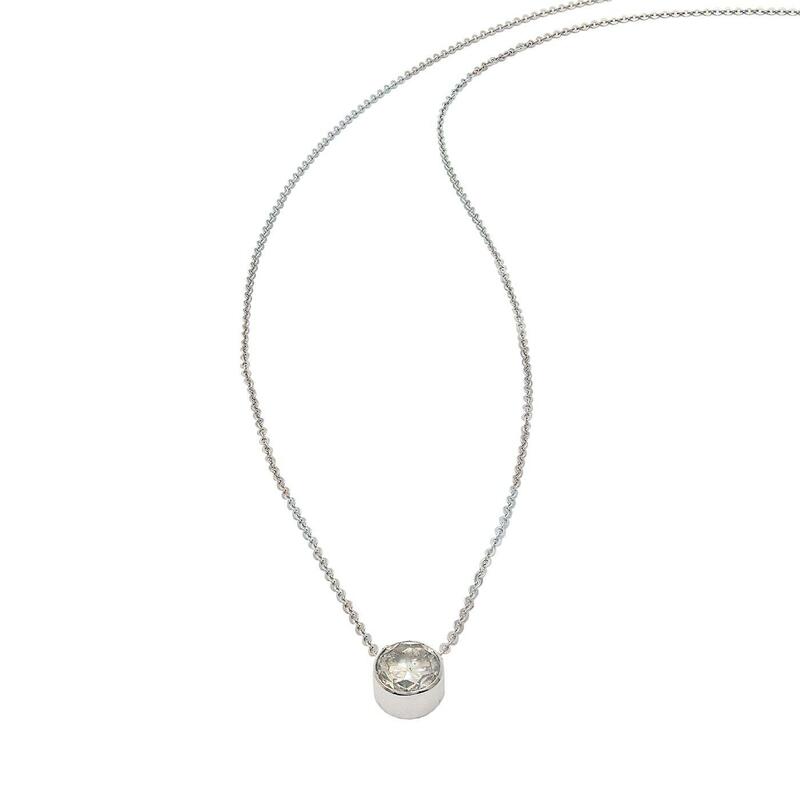 The diamond solitaire pendant is supported by a seventeen inch length 14KT white gold designer style chain, terminating in a spring ring clasp. Bright polish finish. Condition is new, good workmanship. One bezel set round brilliant cut diamond, measuring 8.00 - 8.00 x 4.80mm (depth est.) approximate weight of 2.08ct with a medium blue fluorescence. Graded in the setting.